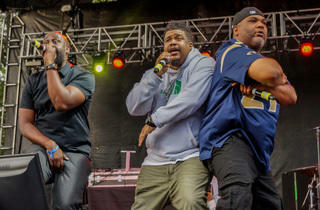 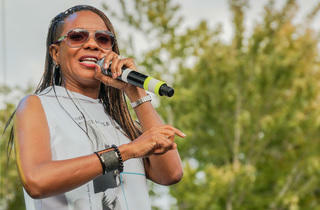 Photograph: Joshua MellinHip-hop fans close out the summer at the inaugural Aaah! 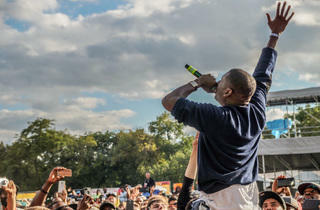 Fest in Union Park on September 21, 2014. 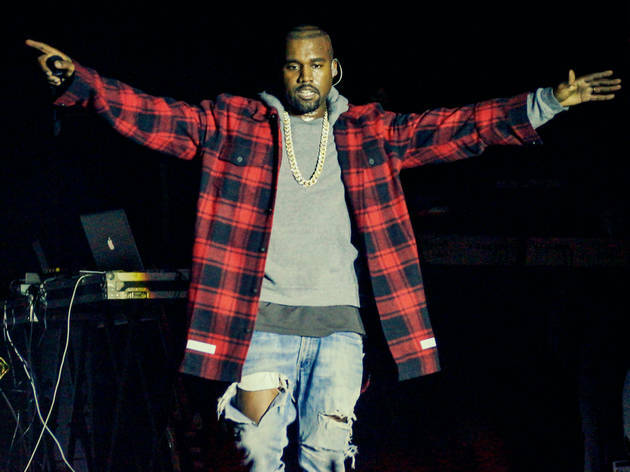 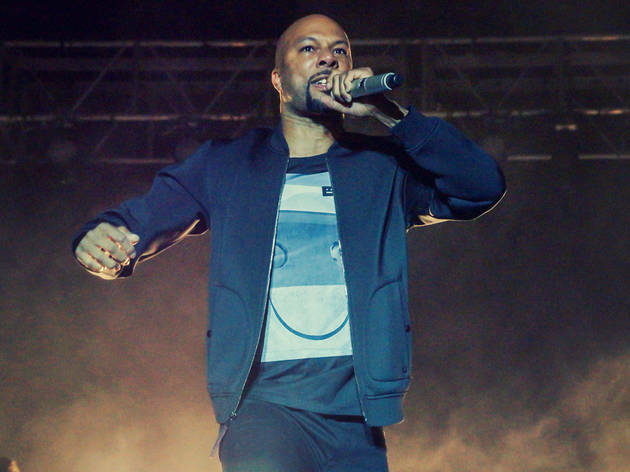 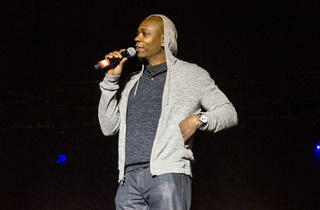 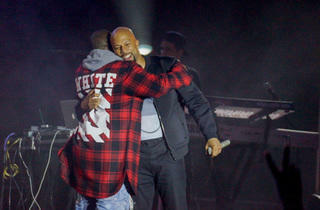 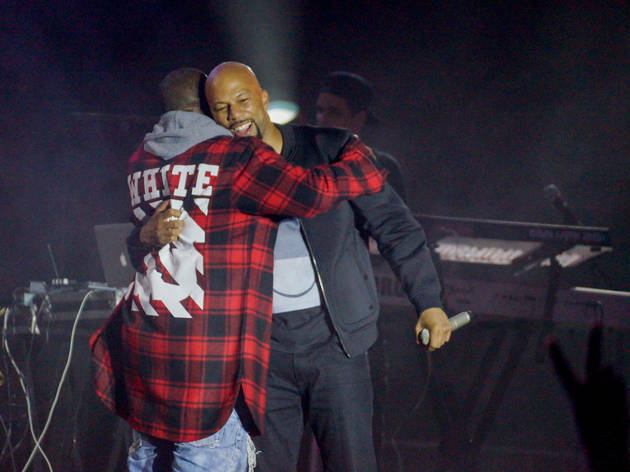 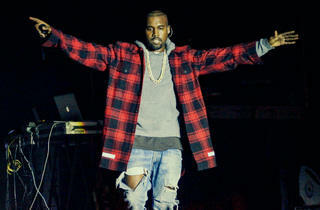 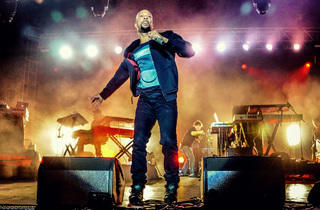 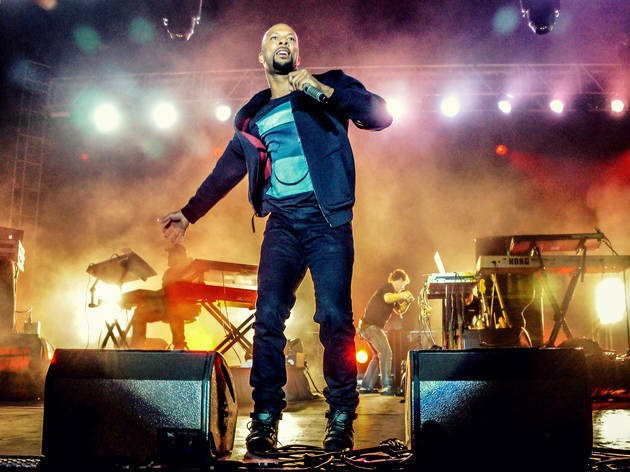 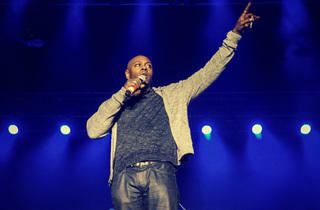 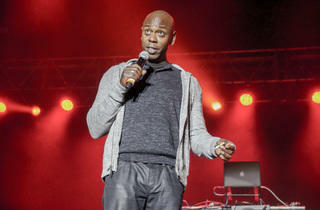 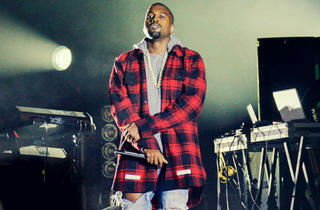 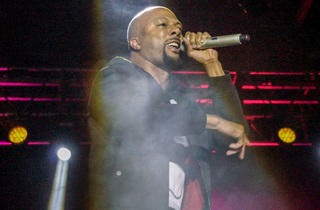 Kanye West's appearance as a "special surprise guest" at Common's inaugural Aahh! 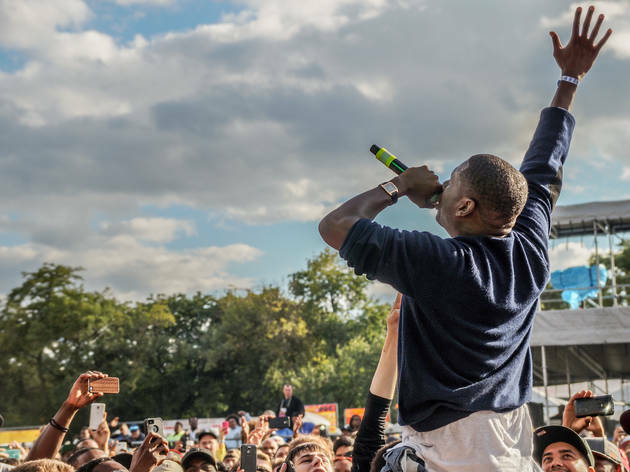 Fest has been the worst-kept secret in the city for the past few weeks. 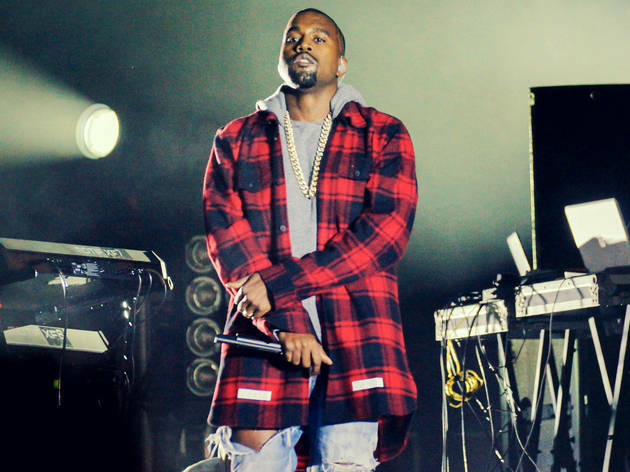 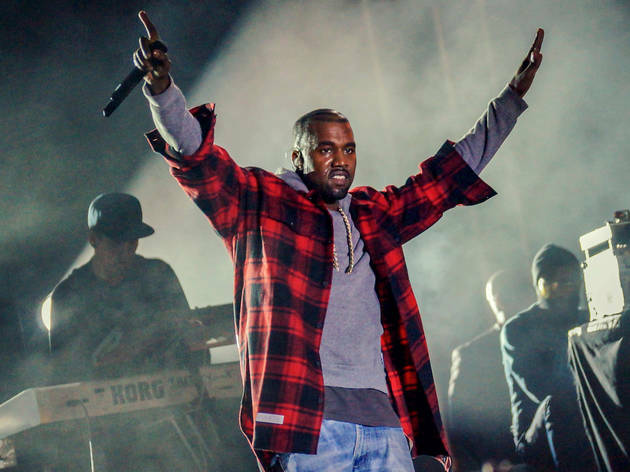 It didn't take much sleuthing to figure out that Kanye's Donda's House charity was one of the event's partners, a fact that made Yeezus's presence almost inevitable. 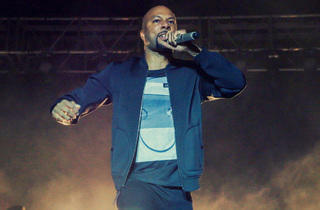 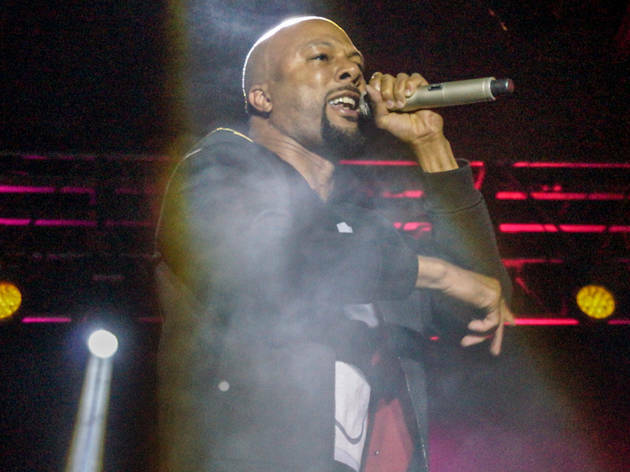 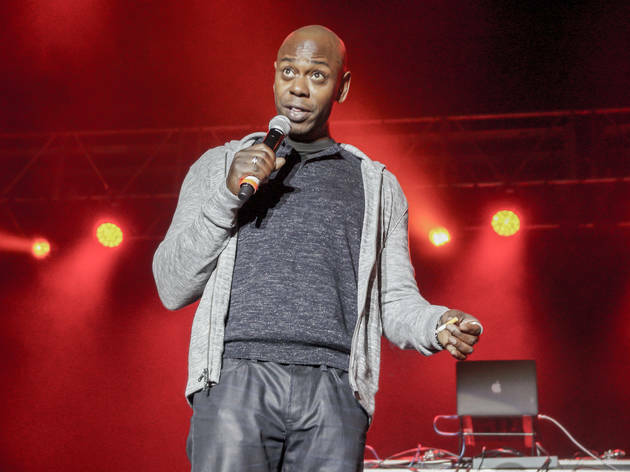 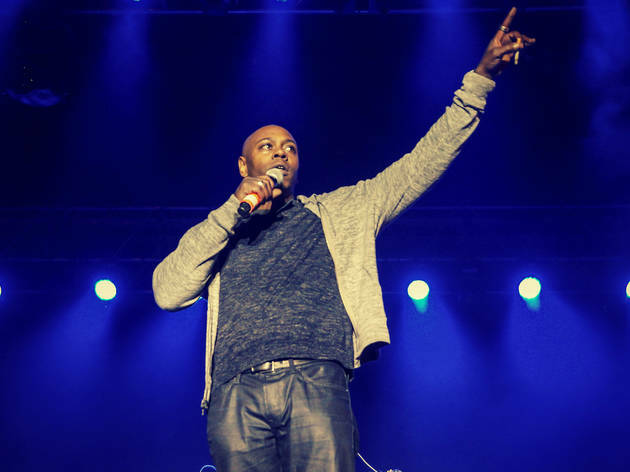 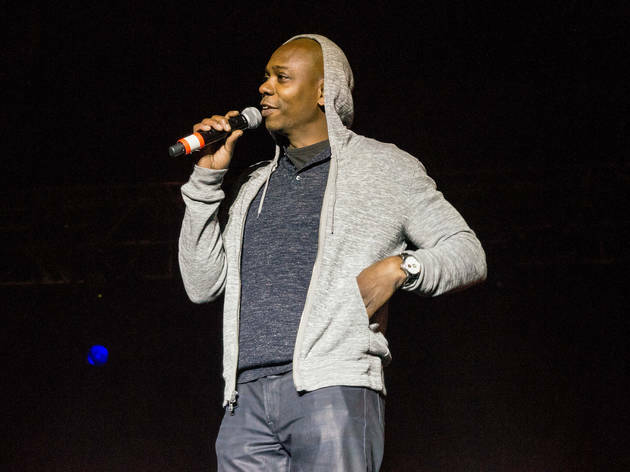 Common's own mother essentially confirmed the theory a few days before the Union Park festival took place. 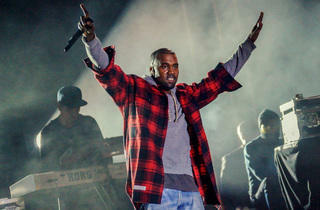 After all of the ridiculous drama that has taken place at recent Kanye shows, his 16-song homecoming set at Aahh! 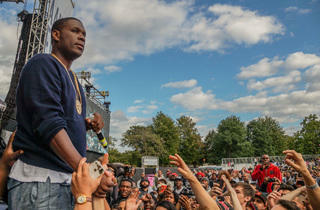 Fest actually put his music ahead of his ego, bringing a close to the very last music festival of the season. 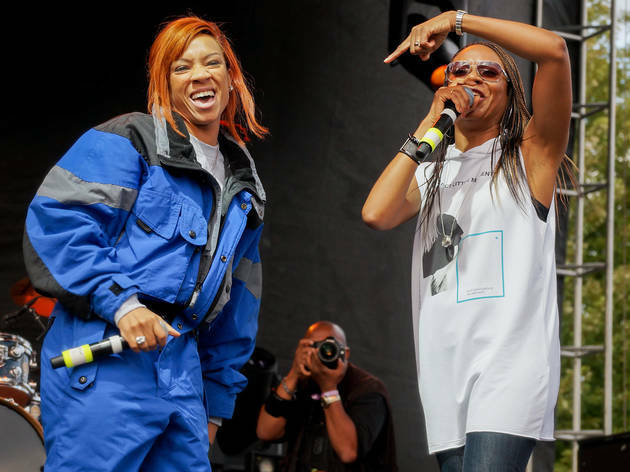 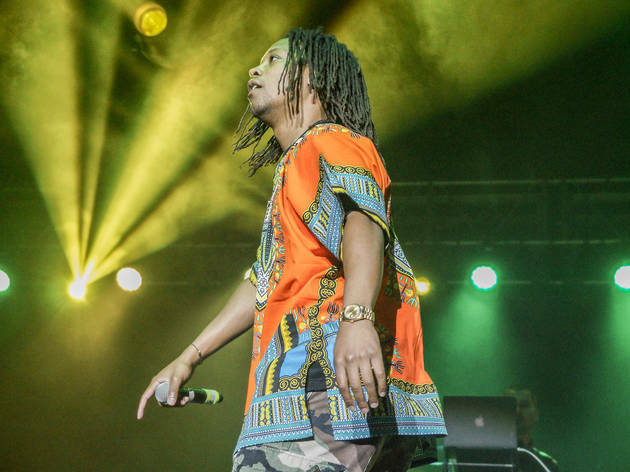 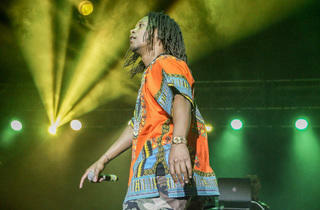 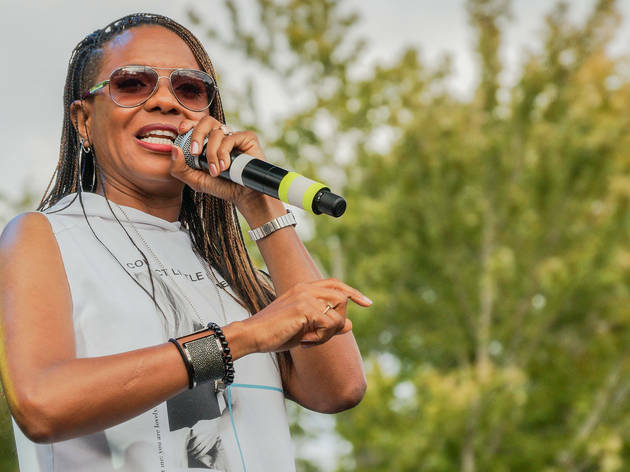 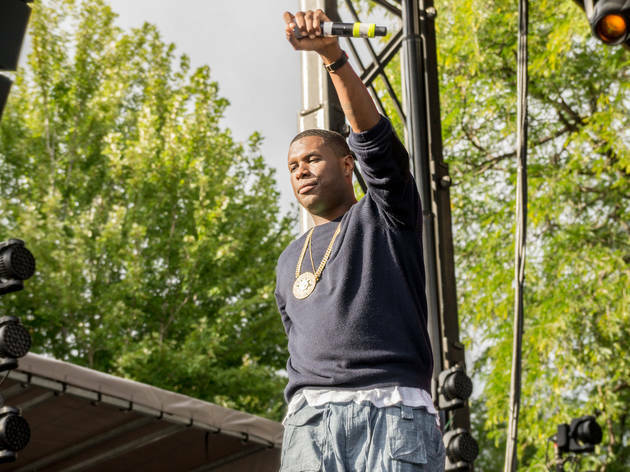 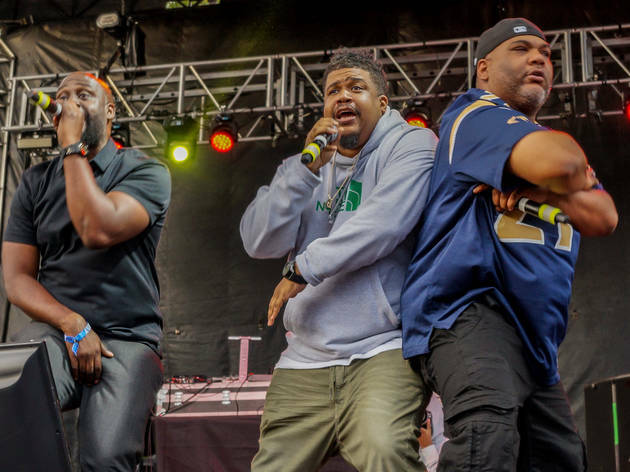 The rest of the festival's lineup was equally satisfying, boasting appearances by old school icons like De La Soul and MC Lyte as well as Chicago natives Lupe Fiasco and Lil Herb. 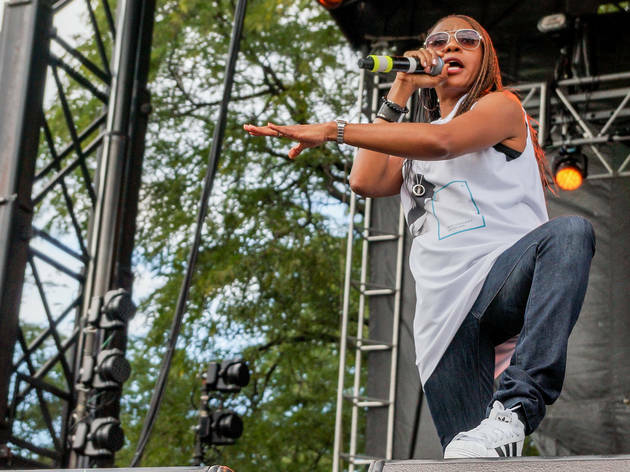 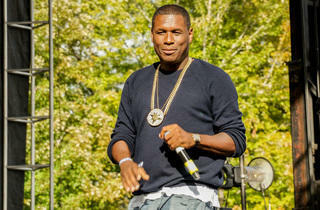 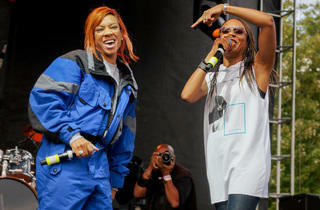 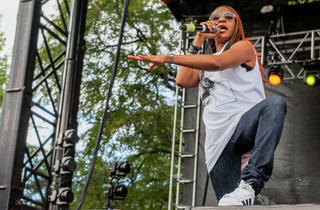 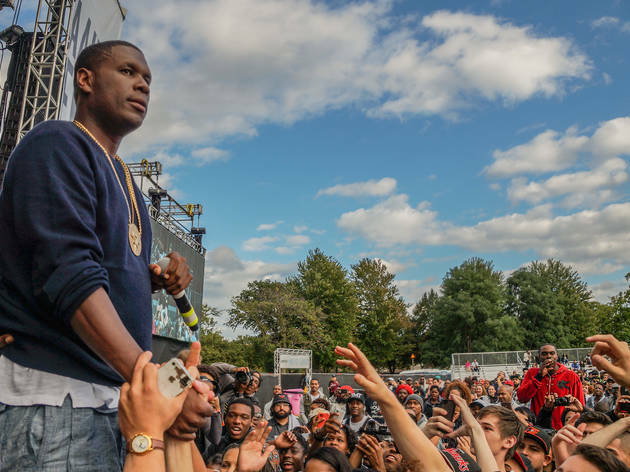 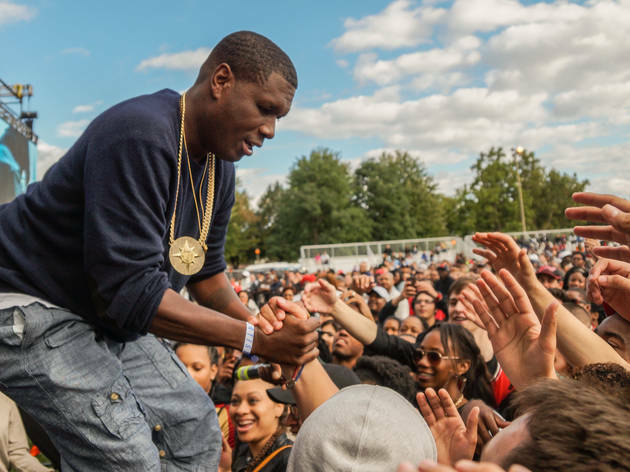 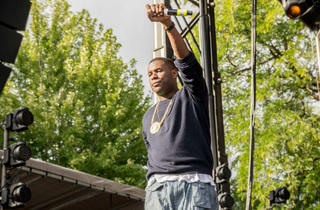 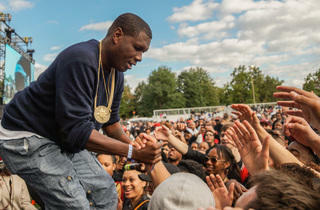 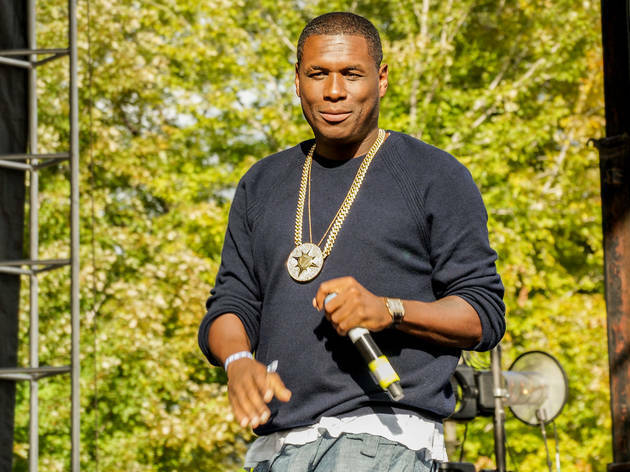 Check out photos from the end-of-the-summer hip-hop bash in Union Park.